See the full Knocking at your door lyrics from Ted Nugent. Knocking at your door lyrics belongs on the album Penetrator. Learn every word of your favourite song and get the meaning or start your own concert tonight :-). Rate this song's lyrics. Uploaded by Cherri. Use it for personal and educational purposes only. 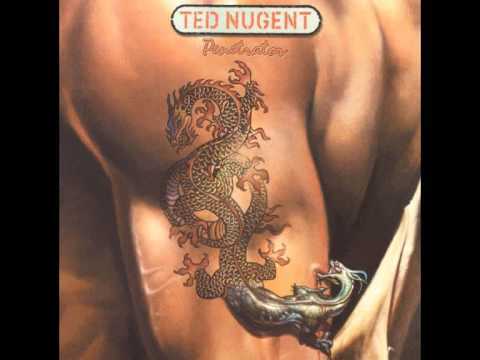 Listen to these sick beats by Ted Nugent. And you're gonna let me in! And you're gonna notice me! Related Knocking at your door lyrics. pasto paul enenche song you ..
broken hearted girl by bruno..
mobe by enrique gil song don..
you do something to in a vei..
to worship you i live by isr..
some say i smoke too much bu..
i can fly for the very first..
the way she talks to someone..
summer is ended, the leaves ..
its the way that i feel abou..
one night love making guy ..
i walk in joy to know i have..
lawd, you made the night too..
told him nice to meet ya i n..